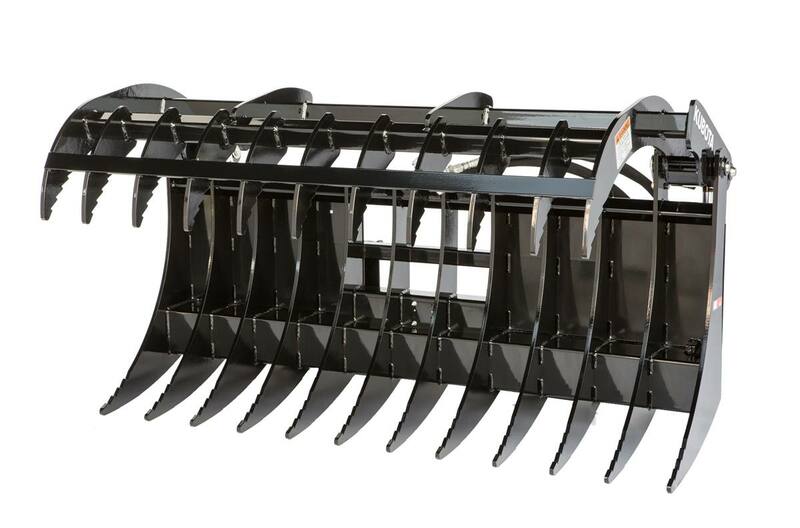 Kubota by Land Pride: Claw Grapples make quick work of large jobs, and can be used to rake, dig and move rocks, trees, brush, and construction debris without picking up dirt. The compact design minimizes weight while preserving lift capacity. 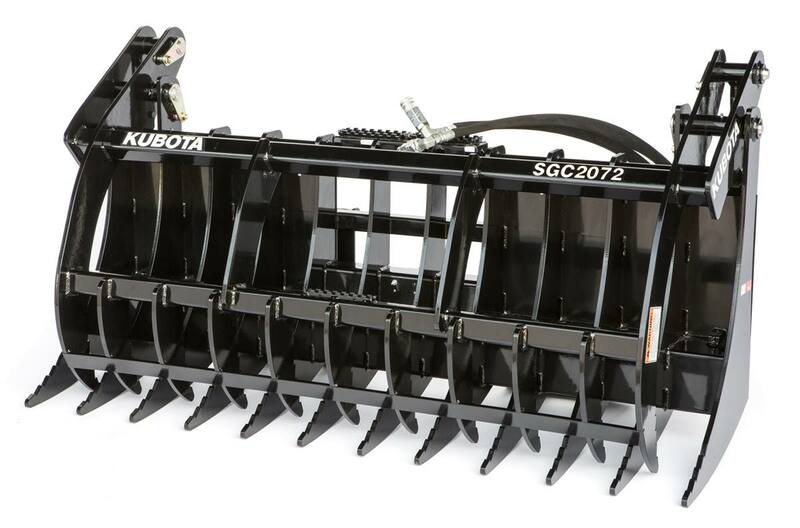 Available in 72" or 84" widths, these grapples are made from AR400 high tensile strength material. Only available through Kubota Dealers. AR400 teeth material: Stronger than Grade 80 plus increased resistance to abrasion. Working Length of Teeth: 14 3/4"